Suffolk House Antiques | An extraordinary set of 17 18th century chairs. AN EXTRAORDINARY SET OF 17 18TH CENTURY CHAIRS. 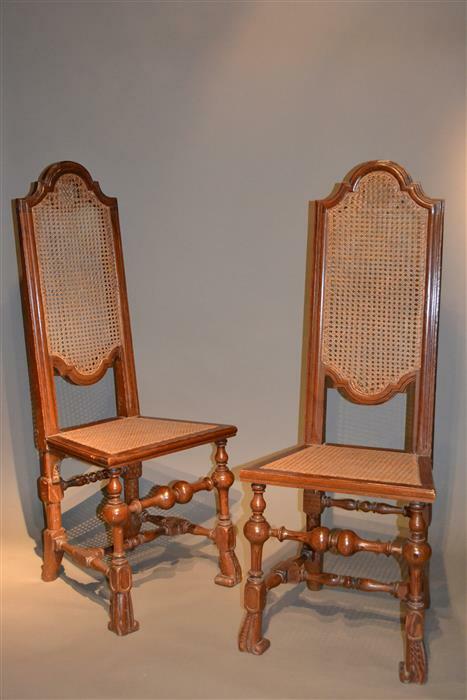 Long sets of period chairs are very scarce and to find 17 is vey unusual to say the least. Probably dating from the first quarter of the 18th century they are made in a form of very hard pitch pine and it is possible that they are Scandinavian. They are elegant with high backs with a good rake, well turned front stretchers and "Spanish feet". They can be sold for £4850 for the set or in smaller quantities.